Investors concerned about an acquisition with "no potential synergies"
Chipmaker Broadcom’s surprise bid to buy software company CA for US$18.9 billion wiped off the same amount from its market value on Thursday, with investors and analysts struggling to find a clear reason for the deal. Citing an acquisition with no potential synergies, investors drove the company's shares down 19 per cent to US$197.50 - their worst day ever. CA rose 18.5 per cent to US$44.10. Broadcom, which has mushroomed in value by buying out rivals in the past decade's surge in mobile phone production, agreed on Wednesday to buy mainframe software company CA for US$44.50 per share in cash, months after President Donald Trump blocked its US$117 billion mega-merger with Qualcomm. While some analysts said the shift in sectoral focus might prove another masterstroke by Broadcom CEO Hock Tan, many raised concerns about a deal that lowers Broadcom's top line growth to three per cent from five per cent. “It's the most bizarre, defocused, non-strategic acquisition of the last decade," said Eric Schiffer, CEO of the Patriarch Organisation, a Los Angeles-based private-equity firm. At least two analysts downgraded the stock, while two other analysts cut their price targets. 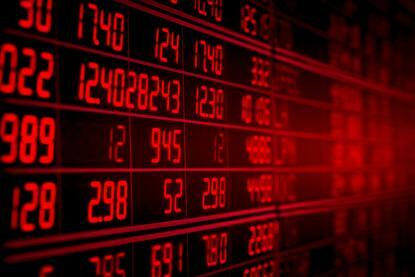 Brokerage B Riley was the most bearish with a price target cut of US$63 to US$245. Susquehanna analyst Christopher Rolland said the foray into the software industry may have been driven by a lack of viable options in the semi-conductor industry and increased regulatory scrutiny. CA's main business is selling software for big, mainframe computers, in which it is second only to IBM. But while that business generates cash flow of US$10 billion a year, its revenue growth has been flat as more customers choose cloud services over old-fashioned hardware. "While CA is a departure from Broadcom's core semi-conductor business, it is consistent with its track record of acquiring out-of-favour, market leaders with high cost structures," Jefferies analysts said. Some analysts speculated that Broadcom's ability to rein in costs would help it use CA as a platform to build a business in the software sector that simply offsets the risks of the highly-competitive semi-conductor business. After the deal, the combined company would have roughly 71 per cent revenue from semi-conductors and 28 per cent from software. "We think many investors may not like it - at least initially - but this does open the door for a new angle to the story and further improves AVGO's capital return potential (we model US$10/shr dividend in F19) in the meantime," UBS analyst Timothy Arcuri said.